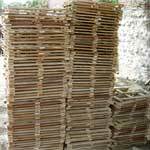 We manufacture premium quality wooden storage crates, which are designed for multi stacking and multi handling. Our product line is available in different specifications of sizes, lengths, dimensions etc. In addition to this, we also provide customization facility. 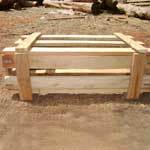 Our wooden shipping crates are suitable to export shipments in container or break bulk. These crates are used to package every type of export material. Salient features of the product include resistance towards shock, minimum permeability and good stability .The huge demand of our shipping crates in the local markets have made us an extending wooden crates manufacturer and supplier of India. So feel free to come forth and try our exquisite product. 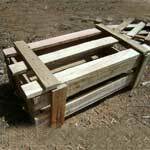 These crates can be sent to long distaces and can be assembeled ( By Sending Knocked Down Pallets).